Claire Blumig took her first yoga class at 19 and was immediately drawn to the practice. She has since done extensive training in Kundalini and Iyengar yoga. After several years off the mat, she returned to her practice when her daughter was in high school. Claire has her 200 hour Yoga Teacher Training Certification from Princeton Center for Yoga & Health, and her second 200 hour Yoga Teacher Training Certificate from the Kripalu Center in Lennox , MA. Claire is also certified in Yoga of the Heart, developed for cancer and cardiac patients by Nischala Joy Devi collaborating with Dr. Dean Ornish, who developed the internationally acclaimed Reversing Heart Disease program. She continues to take workshops to deepen her understanding of yoga and strives to share all she learns with her students. Krissy has a contagious enthusiasm for loving life and exploring one’s inner depths. Born in South Carolina and raised traveling around the globe, she is a wholehearted citizen of the world and spiritual adventurer. Krissy is a Parankriya Experienced Yoga Teacher (E-RYT), a Pranakriya Yoga Therapist, Pranakriya Prenatal Yoga Teacher, and an energy/body healer with a background in Thai Yoga Therapy and Bio Energy Healing. Krissy has been teaching and practicing yoga since 2008. She serves as a Pranakriya Yoga Director who travels the Eastern seaboard teaching Yoga Teacher Training Programs. Through yoga, she became more connected to her inner self — spiritually, emotionally, mentally, and physically. She leads transformational classes, one-on-one private sessions, and workshops with practical ways to promote inner peace and strengthen the body. Krissy’s intentions are to positively impact every person she encounters and make the world a better place, one yoga practice at a time. Cammy Fisher has been teaching Pilates for the past 11 years to children, athletes, and adults. She received her Certification in Pilates from the Physicalmind Institute. Cammy is a former professional dancer who has toured with Theatre Ballet of San Francisco, and the Augusta Ballet. She has taught dance for over 30 years in our community and has a deep understanding of how proper alignment keeps students safe. Cammy believes that Pilates strengthens her students physically and mentally, and encourages their efforts to maintain a healthy body. Yvonne received her 200 hour Pranakriya Yoga Teacher Certification in 2010 at The Yoga Center (formerly Radiant Well-being). She was introduced to Pranakriya and to Yoganand and Amy Carroll through a friend and student of the studio. From her first class, she developed a deep and abiding love of the practice as taught through the Pranakriya tradition. She began teaching Gentle Yoga at the studio in 2010 soon after receiving her certification, and continues to work toward her 300 hour certification. 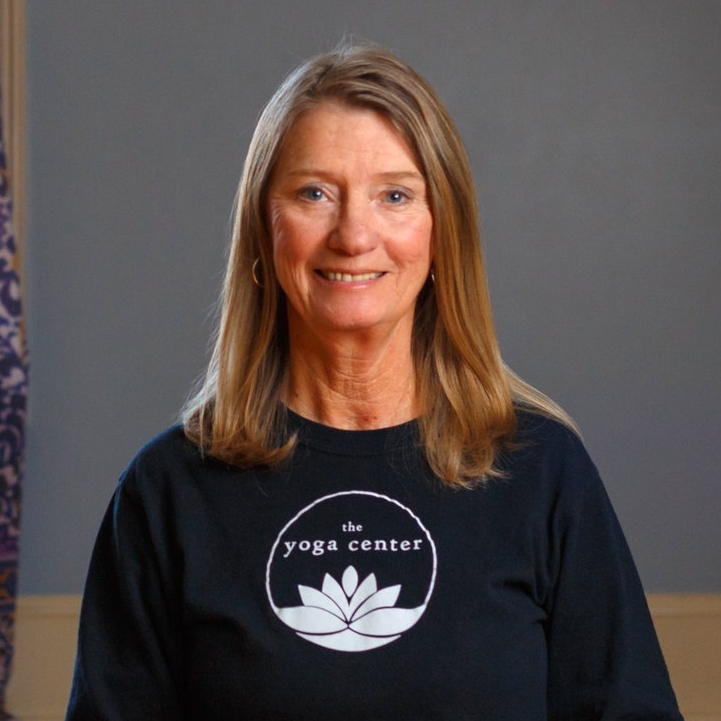 Yvonne’s desire is to continue to share her love of this practice, and is overjoyed that the Pranakriya tradition has continued to thrive at The Yoga Center. Originally from Idaho, Brandie settled in Aiken after traveling and living around the world. With a background in dental assisting and massage therapy, yoga reappeared in her life while she was competing in a workout competition. She had been practicing Yoga and Pilates on and off for years, but it was her journey back to the mat that liberated her in a way that ‘woke her up inside.’ Brandie has a true love for yoga that she feels has changed her life in so many positive ways. This love led her to enroll in a Yoga Teacher Training program at Asheville Yoga Center where she received her 200 hour Teacher Certificate. She is currently working towards her 300 hour Pranakriya Yoga Certification and would love to help disabled Veterans through Yoga. Veronica became interested in yoga as a means of exercise, but quickly discovered that through her practice she was able to calm the "noise" in her head and explore the depths of herself. Yoga teaches ahimsa, that one must not harm any living creature, a concept many of us tend to overlook when dealing with ourselves. So from Veronica’s beginning experience with yoga, she was learning to be compassionate and loving toward the being she is. Once she began treating herself with care, it was easy to look beyond herself and treat others the same way. Veronica decided to deepen her practice and knowledge of yoga, and took the Pranakriya Teacher Training course. She has learned that teaching yoga is "not just about telling folks where to put their feet and hands." It is about sharing your own love of yoga and life with others while respecting and helping them on their own yogic journey. Veronica is very interested in bringing yoga to those with larger bodies, so that they too, may benefit from the power of yoga. After retiring from the non-profit arts world as a Teaching Artist, Arts Education Director, and Executive Director of The Art Factory, Cindy found herself back in a yoga studio. After a long absence, Cindy began practicing at Radiant Well-Being Yoga Center founded by Yoganand and Amy Carroll. Being in Amy’s classes renewed her passion for yoga and soon she found herself signed up for the Pranakriya Yoga Teacher Training program. After graduating from their 200 hour program, Cindy became the new owner of the yoga studio as Yoganand and Amy were ready to move on. She has since taken up the teaching mantle again and recently became a 500 hour Pranakriya Yoga Teacher. Cindy is grateful for the opportunity to continue the work that Yoganand and Amy began in 2003 –sharing the peaceful art of yoga. Nicole studied architecture and worked in several large firms, but left the corporate world to pursue her own architectural computer rendering business. Nicole has always been active running, or mountain biking, but found yoga helped her ease the stress of a deadline driven career. When she became pregnant, Prenatal yoga became an intricate part of her life as she developed a deeper understanding of yoga’s mind/ body connection. After moving to Augusta in 2009, she became a stay at home mom, painting as a creative outlet and attending “fitness” yoga at the local gyms which left her longing for a deeper practice. In January 2015, she joined the Pranakriya Yoga Teacher Training at The Yoga Center to find that deeper connection she was searching for. She recently completed her 500-hour certification and enjoys sharing her love of yoga with students of all levels. Taylor Watts has always had an active life, including gymnastics and other various forms of body movement until 2008 when a high school teacher recommended yoga. She was quickly drawn to the practice. In 2011, she began to practice regularly at home with a concentration on flexibility and inversions. As her practice deepened she realized that asana is only the tip of the iceberg and found herself longing for a deeper connection with the world she lived in. Then she found Pranakriya yoga. After working with a few teachers of this discipline, she decided to enroll in The Pranakriya School of Yoga Healing Arts training program held at The Yoga Center. She completed her 200 hour yoga teacher training in 2015 and is currently pursuing an additional 300 hour certification. Yoga has given Taylor an opportunity to create a safe space within herself, which in turn has helped her to grow into a more mindful, happy, and loving human being. It is her mission to share the endless benefits yoga can provide.